It's fun having four registration windows at the new cage inside @TVPokerRoom, there's no lines for registration and the single re-entry in today's OneDay$100k. Players are even stopping at the Players Bar to grab a drink on their way to their seat, or to their re-entry. 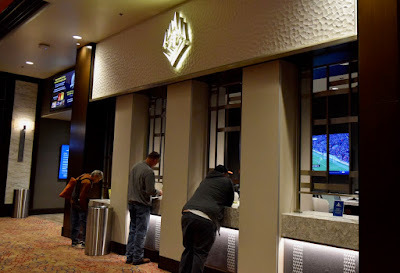 Registration and the single re-entry period is available in this $460 with a $100,000 Guarantee until the start of Level 10 at about 4:05pm.